FAST FOOD IS BAD FOR YOU. NOPE! IT’S GOOD. When combined, fast food can make up the most powerful robots in the universe. Equipped with ketchup arm cannons and running on french fry grease (no diesel fuels for these bad bois), their only purpose is to protect mankind. In a shocking upset, the Fast Food Robot beat out the Toilet Wizard in the Facebook poll! Couldn’t believe it. I couldn’t. I couldn’t accept it. Took me about 8 years but I finally drew him. 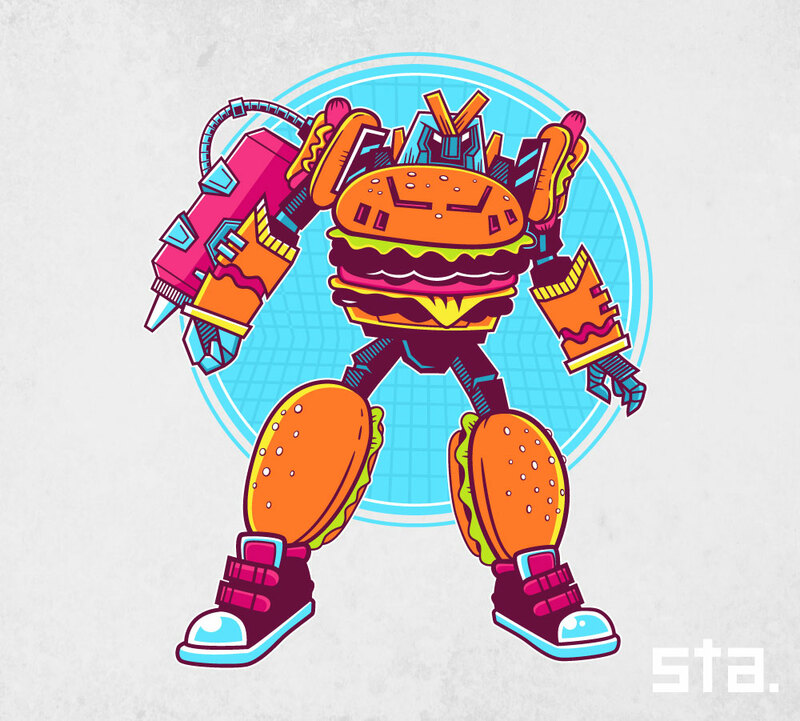 Now Fast Food Robot is fending off intergalactic threats on Redbubble, so be cool and check him out.